There are certain things that we can do that can benefit the environment, as well as providing a benefit for ourselves personally. For example, keeping plastic bottles in separate trash receptacles creates more space in your regular trash can and allows you to save money on trash bags; but it also allows those bottles to be recycled, reducing waste and therefore benefiting the environment. Whether you believe that climate change is real or not, there are few people who do not welcome ways to save energy as well as save money. If there is one place on earth that you care about more than any other, there is a good chance that it is your family home. As a result, you probably want to do whatever you can to make sure that your house is safe, efficient, and most importantly cheap to maintain! There are a lot of ways that you can do this: home security or automation systems, security cameras, waste recycling, and so on. One investment that can really make an impact on both your bank account and your carbon footprint, is to install solar panels on your house. 1. You are using an energy source that is 100% renewable and environmentally friendly. You are doing your part to save the earth! 2. The cost of installing the panels is far outweighed by the amount that you save in the long run by using renewable energy. You can even get your solar energy from certain companies that will allow you to pay off the price of your panels in an affordable monthly fee. It is worth noting however, that not every house is suitable for solar panels. Before you can install anything, you must first have your roof checked by an expert. They can ensure that there is enough space to fit the panels, and also that the flat portion of your roof receives enough sunlight to sustain them. If you are passed, you are good to go. Feel free to check out companies like Vivint to see if your home is eligible. 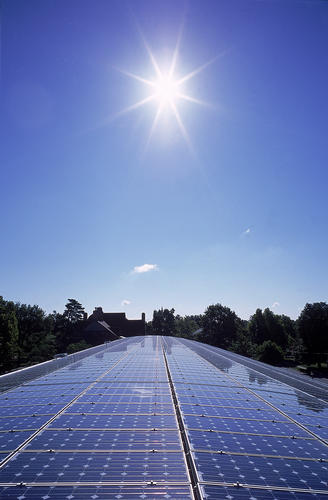 It might seem like something of a hassle to even think about getting solar panels installed on your house. The reality is quite different. There is no company that is going to sell solar panels, without making sure that they are taking care of the installation and maintenance. 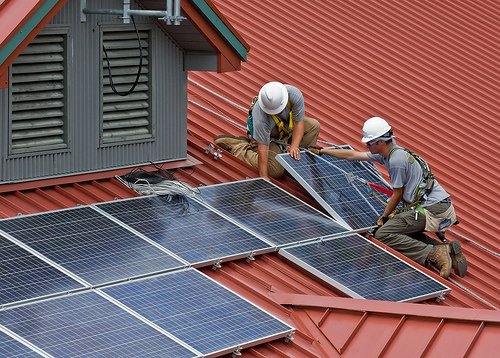 Often they will have certain people to perform each stage of the process, including checking the roof, installing the panels, connecting them to your meter, and even taking care of your new monthly payment schedule. The fact of the matter is, although solar panels are seen as an unnecessary luxury, the benefits far outweigh the cost that it takes to install them, and it will end up being much cheaper for you in the long run. David Glenn is a home improvement expert of many years. He also occasionally freelance writes about home automation, DIY home improvement and eco friendly homes.